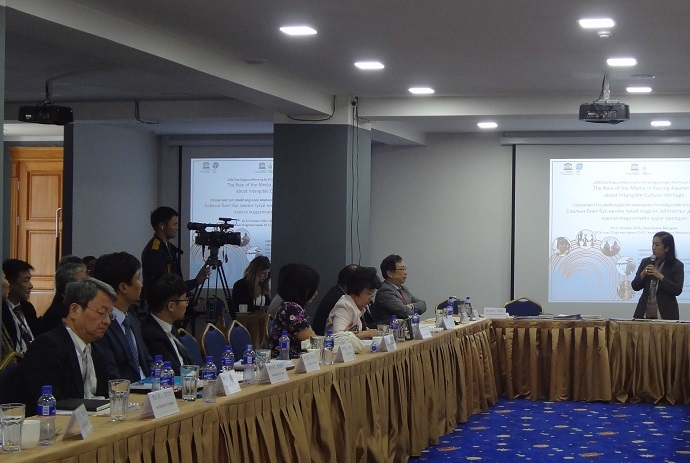 The ‘2016 Sub-Regional Meeting for Intangible Cultural Heritage Safeguarding in Northeast Asia: The Role of the Media in Raising Awareness about Intangible Cultural Heritage’ was held in Ulaanbaatar, Mongolia from 10-12 October 2016. Co-organised by the UNESCO Beijing Office and the International Information and Networking Centre for Intangible Cultural Heritage in the Asia-Pacific Region (ICHCAP) in collaboration with the Mongolian National Commission for UNESCO and the Center of Cultural Heritage of Mongolia, over 30 experts from governments, research institutions and media gathered from six Asian countries. 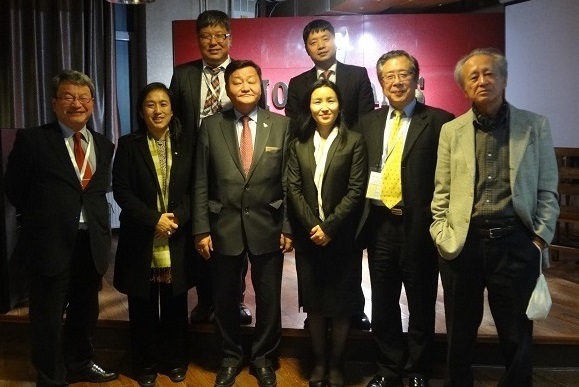 From Japan, representatives from Agency of Cultural Affairs, Nippon Broadcasting Corporation (NHK) and IRCI (Wataru Iwamoto [Director-General] and Yurika Sugino [Associate Fellow]) attended the event. The participants shared their countries’ activities in promoting the importance to transmit intangible cultural heritage, including abundant experiences of the Agency of Cultural Affairs and NHK, followed by active discussion. IRCI particularly stressed the necessity of community involvement in the process. Reaffirming the common basis that intangible cultural heritage as shared heritage of humanity leads to global prosperity, the meeting paved the way for further enhancing future cross-border cooperation alongside national efforts.